Like many people, I try to do my fair share to help the environment. I recycle, take care not to disturb the native plants and animals, and teach my children to respect the environment. But, I never thought about whale watching as an eco-friendly activity. In fact, I thought the OPPOSITE. Boy, was I wrong!? Does their vessel produce minimal noise so not to disturb marine life? It’s important to learn how noisy the vessel is before you book your tour. Too loud, and the noise could disturb marine life and upset the mammals below. Is there a naturalist or biologist aboard the whale watching vessel to answer questions? 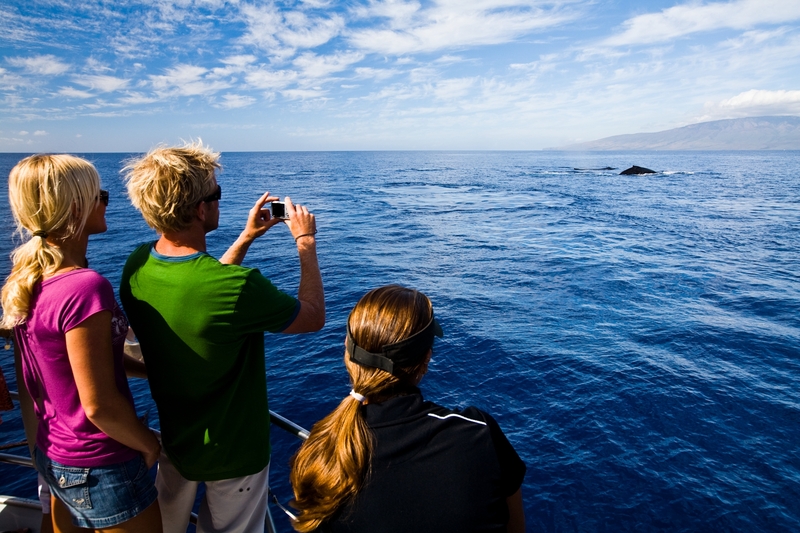 The best Hawaii whale watching tours will have a knowledgeable guide on board, who can teach you about whale behavior and inform you about conservation efforts. Even though whale populations have recovered somewhat from the whaling days of long ago, we still need to be vigilant about protecting them. Is there a strong emphasis on educating guests about the whales? How much time during the whale watching tour is spent on education? It’s important to book a tour that spends at least half the whale watch informing guests about whales. Are hydrophones available to listen to whales underwater? Allowing guests to hear whales communicate underwater can enhance their experience and even allow them to better understand why conserving these amazing creatures is important. Is the vessel fit for sea, without damage that could pollute the environment? If the vessel is damaged, parts made of non-biodegradable materials could pollute the environment and harm marine life. Does the operator provide life vests and life boats, and carry emergency signals/radio? This is more for safety than for conservation, but it’s important to note whether your vessel has the appropriate precautions in place. 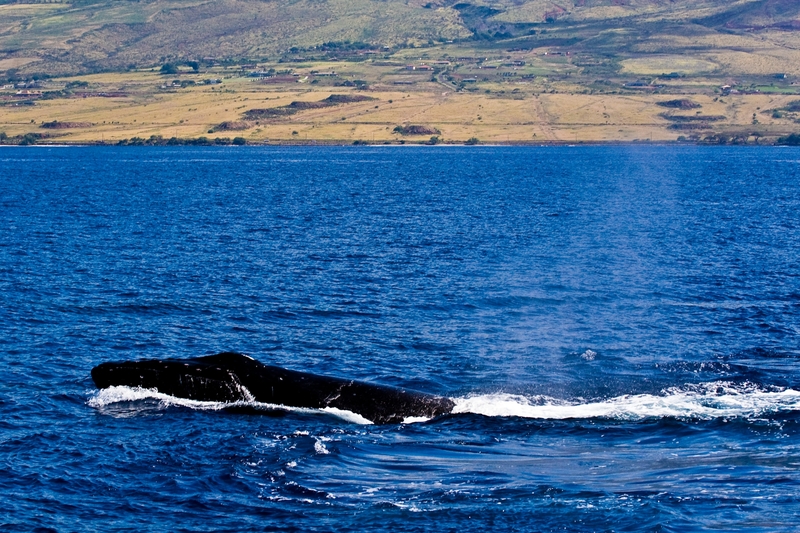 Whale watching in Hawaii can be a memorable and informative experience. Just make sure you book a reputable company that has conservation in mind. Does the boat operator remain at least 50 meters from the whales in order not to stress them? Stressed whales change their behavior, and human interaction can caused distress that could bring grave harm to whales. Make sure your boat operator knows the rules when it comes to interacting with whales. When my husband and daughter returned from their recent Hawaii whale watching tour off the Big Island, they came back with an enormous amount of knowledge about whales and how best to conserve them. They said discussion surrounding conservation was a huge part of their experience. However, that’s not always the case. In fact, even within individual companies, boat captains, personnel, and maintenance can change day-to-day. So, it’s important to ask these questions, even on the day of your tour and book your Hawaii whale watching tour through a reputable company, such as Hawaii Aloha Travel. That way, you can be sure you’re getting an eco-friendly Hawaii whale watching tour that’s in the business of conserving these incredible animals.